A good collection of fossils provides much information about the early history of our earth, and fossil collecting can be a most enjoyable, fascinating, and rewarding hobby. It is for these people that 'Texas Fossils' was written. Improved satellite and sensor technologies have contributed to the increased demand for satellite EO data. Earth Observations have been widely used to monitor geohazards, revolutionizing our understanding of how the Earth system works. This book covers seismic probabilistic risk assessment and related studies which have become more important to increase the safety of nuclear facilities against earthquakes and tsunamis in the face of many uncertainties after the Fukushima accident. In 1923, America paid close attention, as a government party descended the Colorado to survey Grand Canyon. Led by Claude Birdseye, the expedition not only made the first accurate survey of the river gorge but sought to decide the canyon's fate. Fractal analysis is becoming a very useful tool to process obtained data from chaotic systems in geosciences. It can be used to resolve many ambiguities in this domain. This book shows the recent applications of the fractal analysis in geosciences. 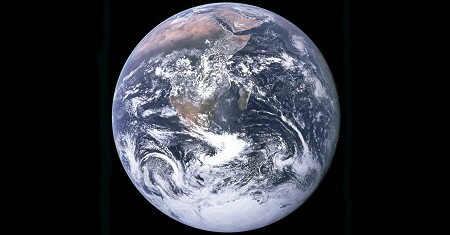 Earth Science deals with any and all aspects of the planet Earth. Earth scientists study the atmosphere high above us as well as the planet's core far beneath us, seeking to understand the beautiful sphere on which we thrive. This book highlights issues dealing with geophysical and earth sciences. It is a comprehensive resource for academic researchers in geophysics, environmental science, earth science, natural resource managements and their related support fields. Space technology has been found to be a successful application for studying climate change, as current and past data can be dynamically compared. This book presents different aspects of climate change and discusses space technology applications. This document contains curriculum Earth Science course for grades 9 - 10. Special emphasis is given to the effects of biological processes on Earth systems. Three major concepts may be summarized as matter cycles, energy flows, and life webs. A practical guide to geostatistical mapping using R+gstat/geoR, SAGA GIS and Google Earth combo of software packages. Includes seven diverse data analysis exercises. Materials presented in this book have been used for an advanced training course. This is an introductory textbook on Earth Science. Earth Science covers the study of Earth - its minerals and energy resources, processes inside and on its surface, its past, water, weather and climate, environment and human actions, and astronomy. This was the first Internet guide written exclusively for the earth sciences. Whether this text is used for Internet homework exercises or lab exercises, Earth Online will open students eyes to the wealth of information at their fingertips. A tutorial that will serve as a primer for the new user as well as a teaching tool for the educational community. It provides a detailed understanding of the utility of the data in light of the fundamental principles of electromagnetic energy. The ocean is the largest biosphere on Earth, covering nearly three-quarters of our planet's surface and occupying a volume of 1.3 billion cubic kilometers. Humankind has entered the 21st century having explored only a small fraction of the ocean. This ebook provides current scientific information on how scientists study and monitor vegetation on Earth's surface. The text is designed to support a series of exercises illustrating how satellite data can be used to monitor vegetation dynamics.